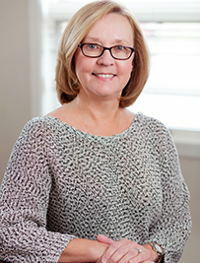 Debra J. Holmes, M.D. is a board certified pediatrician. She received her medical degree from Indiana University School of Medicine in 1986. Her three -ear residency in Pediatrics was completed at Methodist Hospital of Indianapolis. Dr. Holmes is a lifelong resident of central Indiana. She has practiced pediatric medicine since 1989 at Johnson Memorial Pediatric Specialists. Dr. Holmes and her husband have two adult children.